In recent months I’ve found very little time for reading, by nature I’m an avid bookworm so it’s always a real treat when I manage to fit a little reading into a busy day. I read a wide range of books, I love light-hearted chick lit as well as history books and books on vintage fashion. My biggest love is books written in and based on the 1920s and 30s. It’s such a glamorous era of history. I love authors like Nancy Mitford and Agatha Christie and have read most of their books. I have to say I absolutely loved the recent film of this book. I know it received mixed reviews but I’m a huge fan of Baz Lurhman’s films and I adored the opulence of this stylised interpretation of the book. If period authenticity is what you expected then I can understand the disappointment, but the film was everything I wanted it to be. The book itself is a stunning use of language and every word is perfectly placed. If you are one of the few who hasn’t read this yet I would highly recommend it. It was written in 1925 and set in 1922. I had already seen most of Miss Marple and Poirot on TV before I ever picked up an actual Agatha Christie novel. I love her style of writing and her mysteries are so fun to read, I never guess the actual culprit so it’s always a great surprise when they are revealed at the end. Poirot is the my favourite deceptive of all time and his idiosyncrasies are even more amusing in the books than on TV. There’s a reason Christie has inspired so many imitators over the years, as she is simply the queen of cosy crime. The book is very different to the famous Marilyn Monroe film from 1953. For a start it was written in 1925. It’s of the same era as Gatsby and is one of many of the time that represents the jazz age. It’s a fab and very fun book and is perfect for would be flappers! I read this a few years back and it’s one of my favourites. The book was written in 1935 and tells the story of a young widow forced to live in the country with her late husbands family. There are many plot similarities to Downton Abbey and I’m sure the script writers must have read this book first! This book is just magical, I’ve not seen the popular film based on it and personally I don’t want to as I love the book so much. Miss Pettigrew is a penniless governess and through a series of misunderstandings, ends up befriending Delysia LaFosse a young socialite. Miss Pettigrew ends up getting glammed up and enjoying the perfect day with Miss LeFosse and the ensuing fun is absolutely adorable. Read this book if you want something to make you smile. The book was first published in 1938. Mitford is one of my very favourite authors. Her books are full of upper class English wit, and are often inspired by her and her sister’s very unusual lives. I’d recommend reading about her and her family as well, as their story reads like a novel in itself. They were at the very heart of the 1920s London party scene and as well as being aristocratic debutantes, they were also Bright Young Things. This wonderful children’s book from the author of 101 Dalmatians, is about a girl living an impoverished life in her families castle. The fate of many wealthy and aristocratic families in the early 20th century was the struggle to maintain great houses once the money had dried up. The book is written in the form of a journal and it’s an absolutely lovely read. Lisa Jewell is one of my very favourite modern authors. Her books go beyond chick lit and are complex and dark as well as being beautifully written. The book has two stories running parallel in both 1990s and 1920s London. The book is about Arlette who lives in London at the hight of the roaring 20s, but after tragedy strikes she leaves the city and never returns. Moving forward to 1995 her granddaughter has newly arrived in Soho and is looking to discover her Grandmother’s story. The book is very sad at times but id a fantastic read which would make a brilliant film. This one took a while to get into for me. But as Waugh is such an iconic reader and also a good friend of Nancy Mitford, I just had to read one of his books. This book was written in 1930 and is a satire of the Bright Young People of the 1920s. Having recently made a vow to read more, I took to one of my favourite websites. The Book People are great for picking up bargain books and I really love their bundles of books which are so cheap I have to stop myself buying more books than I could ever actually read! 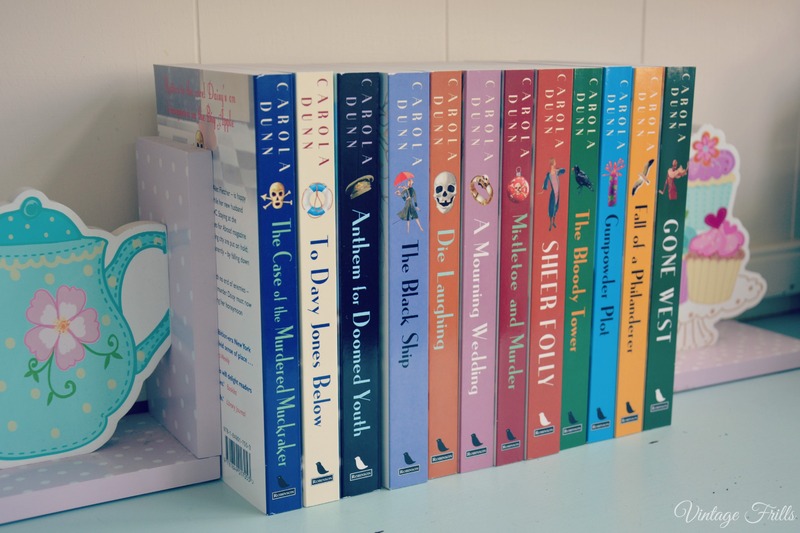 Having read the first few Daisy Dalrymple books on my Kindle I was really pleased to see a bundle of 12 books from later in the series none of which I had read for just £6!!! I cannot wait to get through these and I’m sure the hours will slip by very quickly reading all of them. 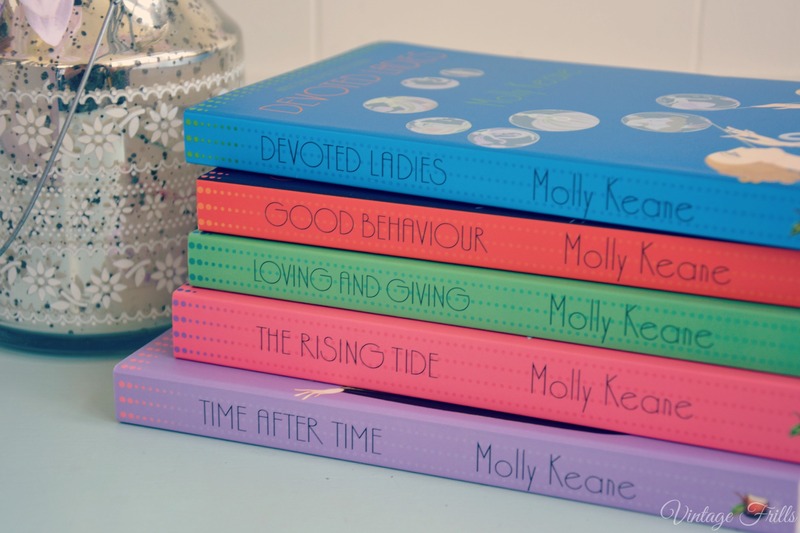 While looking through the book collections I spotted a couple from authors I’ve not yet read I got a set of 5 books by Molly Keane. Keane was an Irish author who wrote her first few books under the name M.J Farrell had a writing career spanning from the 1920s to 80s and is known for her wickedly black humour. I can’t wait to give these 5 novels a try. 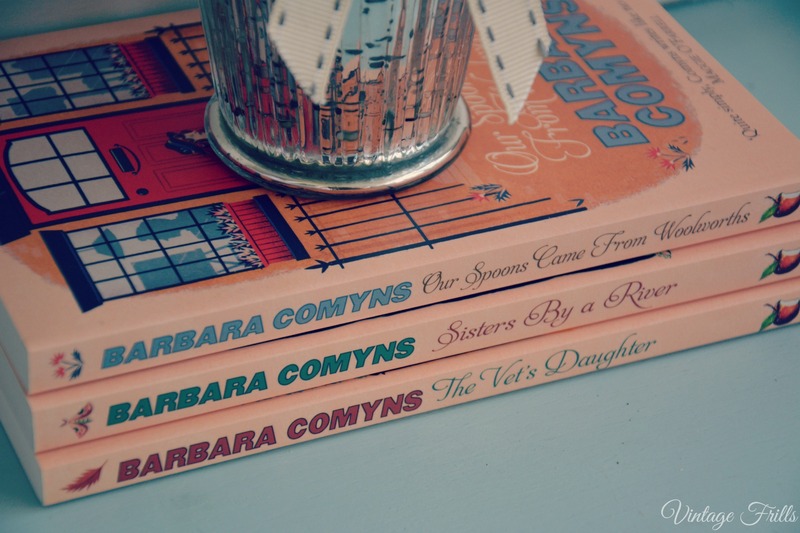 I also got 3 books by Barbara Comyns whose books were published in the 40s to 80s. Her books are set in the early 20th century and she is also completely new to me. I’ll report back as soon as I’ve managed to read them and let you know what I thought. 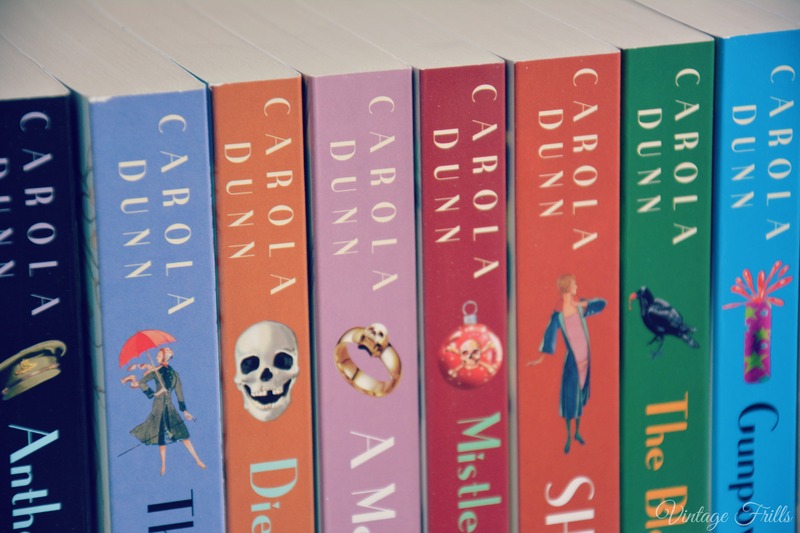 Although these are set in the Edwardian era I thought I’d give them a mention anyway. 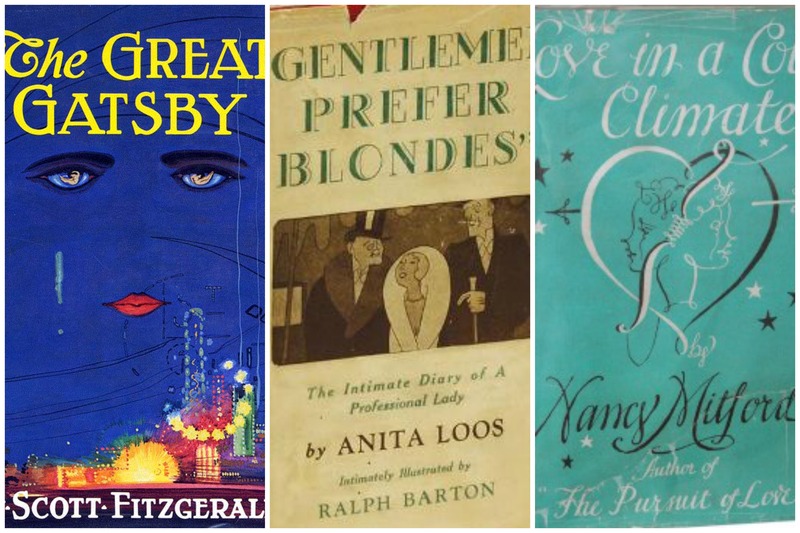 What are your favourite books from the 20s and 30s? I’d love some recommendations as I know there are so many great authors I’m yet to discover, my list of books to read is increasing at an alarming rate at the moment. Awesome post, honey! I’m a perpetual bookworm and lapped up every word of this. Smiling over familiar titles and added a few more to my huge “want to read” list in the process. Thank you for putting this together for us. Happy reading to you this year! Excellent list! I see several of my favourite books/authors here (just finished reading Nightwood and loved it) and a few that I’ll need to check out.